These famous monasteries are a unique architectural treasure from 15th-16th Century in the North of Moldavia, Romania. 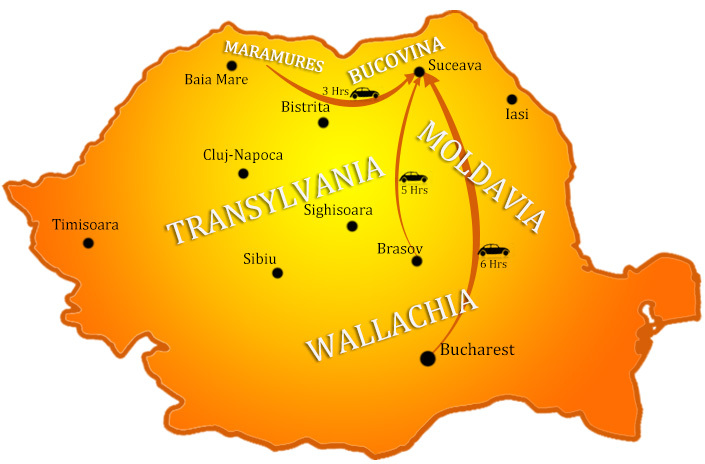 In 1775, this part of Moldavia was annexed by the Austrian Empire and got the official name Bucovina (Land of the Beech Trees). of these monasteries and churches are that they are painted - with dramatic and colorful religious scenes - on their outside walls. In fact this is the reason why they are known as "The Painted Monasteries" and also to be distinguished from the other old Orthodox Churches and Monasteries which are traditionally always painted on the inside. These frescoes, extraordinary works of Byzantine and Moldavian art have survived for more than 400 winters, as well as the dangers posed by wars and modern environmental pollution. were built under the Moldavian ruler Stephen the Great (1457-1504) and his son Petru Rares (1527-1538; 1541-1546), in whose time the exterior painting style for these monasteries started. 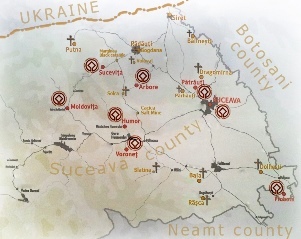 In 1993 UNESCO listed seven painted monasteries as a world heritage site known as "Churches of Moldavia": Arbore, Humor, Moldovita, Patrauti, Probota, St. John the New Suceava and Voronet. 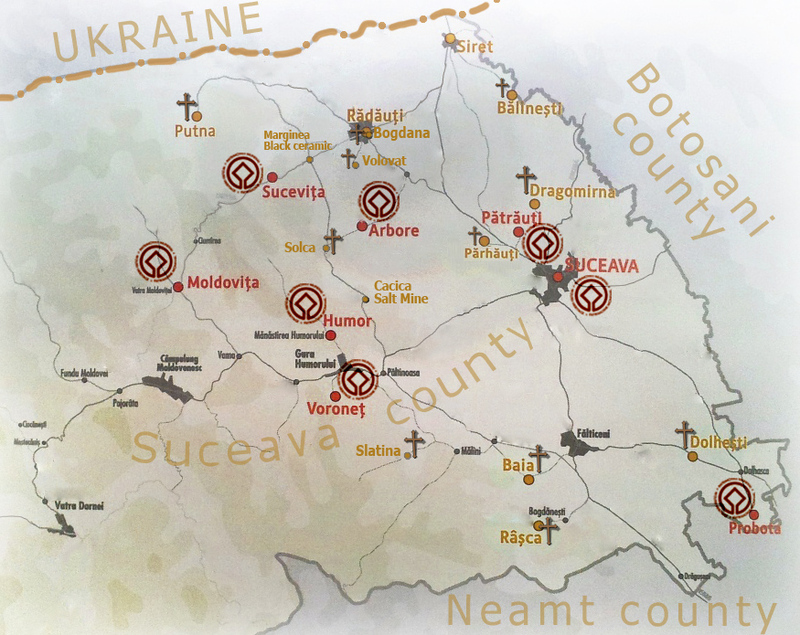 In 2010 it also listed Sucevita. it is for sure an unforgettable experience. Not only is the architecture and the artwork unique, but the monasteries are inhabited by Orthodox nuns or monks who follow Christian traditions which have changed little for hundreds of years. I would be happy to show my native land treasures and explain to you what they mean for our culture, for Christianity and why faith is stronger here than in many other places in Europe. “Sorin was excellent – can hardly praise to highly..."